Monarch Air Group provides private air charter in Laredo, TX. Our clients benefit from top-notch service, unrelenting dedication to safety, wide selection of aircraft, and years of experience in chartering private jets. To obtain a free quote, please use our online quoting tool provided below, or call toll free 1-877-281-3051. Monarch Air Group provides private jet charter flights in and out of Laredo, Texas, USA. 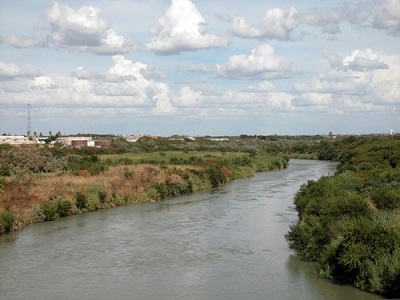 Laredo is an industrial port city in southern Texas, across the Rio Grande from Nuevo Laredo in Mexico. With a population of about 236,091 people, it is the 10th most populated city in Texas and 3rd most populous on the United States-Mexican border. The most notable points of interest include TAMIU Planetarium, Republic of the Rio Grande Museum, Imaginarium of South Texas, San Agustin Church, San Augustin Plaza, Fort McIntosh, Zaragoza Street, and some others. The city is served by Laredo International Airport (LRD / KLRD), which is located 7 miles from the city, and Quetzalcóatl International Airport (NLD / MMNL), which is located 11 miles from Laredo. 1. COT, Cotulla, Cotulla, United States. 3. LRD, International, Laredo, United States. 4. NLD, Intl Quetzalcoatl, Nuevo Laredo, Mexico. 1. Tack Room At La Posada, 1000 Zaragoza Street, Laredo. 2. Holiday Inn Laredo-Civic Center Hotel, 800 Garden Street, Laredo. 3. Holiday Inn, 800 Garden Street, Laredo. 4. Tack Room At La Posada, 1000 Zaragoza Street, Laredo. 5. Holiday Inn Laredo-Civic Center Hotel, 800 Garden Street, Laredo. 6. Motel 6 Laredo South, 5310 San Bernardo Ave, Laredo. 7. Holiday Inn, 800 Garden Street, Laredo. 8. Tack Room At La Posada, 1000 Zaragoza Street, Laredo. 9. Holiday Inn Laredo-Civic Center Hotel, 800 Garden Street, Laredo. 10. Holiday Inn, 800 Garden Street, Laredo.